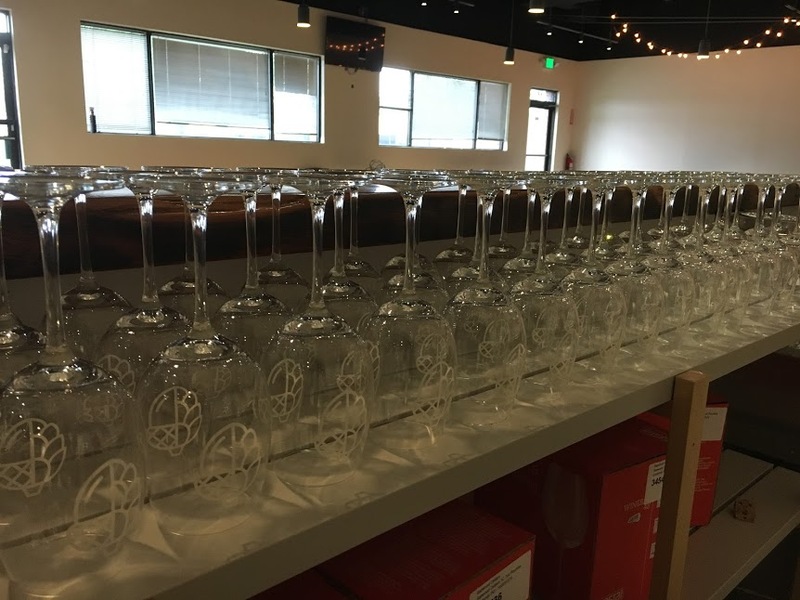 We may have been a tad optimistic when we predicted a June opening for the brewery. June is here and now it is looking like an early-August for the tasting room in the best-case scenario. We’re getting really excited about the prospect of actually getting to brew soon… although there are still a few things that have to be done before that. In May we had a blast pouring test batches and meeting people at the Maryland Craft Beer Festival in Frederick. The response was wonderful with several people circled back to say that one of our beers was a favorite of theirs. Hopade, soured with Wickerhamomyces anomalus, was consumed nearly as quickly as Citra-Saves, a triple-dry-hopped hazy IPA. Mid-fest we chatted with the Frederick New-Post for their round-up of new Maryland breweries! 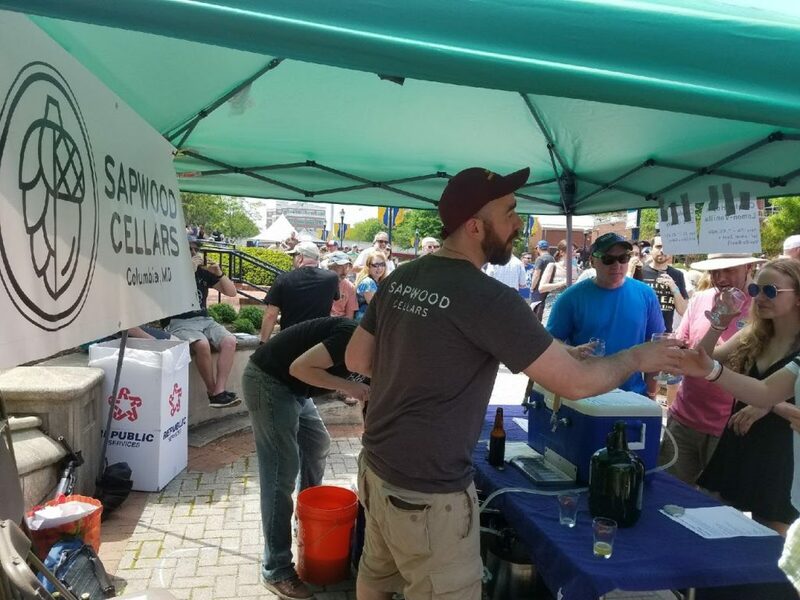 Pouring Sapwood beers at the Maryland Craft Brewers Festival! 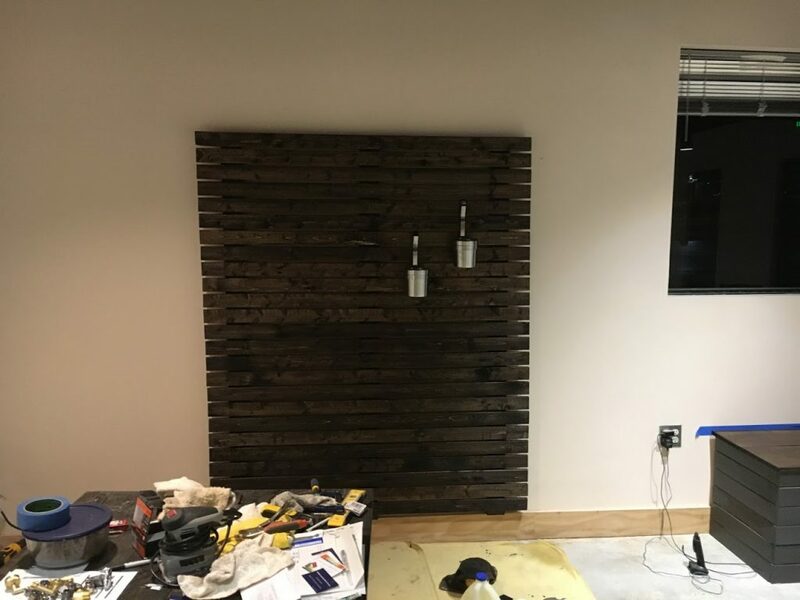 The tasting room looks a little closer to ready every week, with a planter wall (where we’ll grow herbs for an annual batch), glassware racks, chairs and stools all joined in May. The only things left are a second set of eight tap handles to allow for quicker service and a menu board. Ready for some hazy IPAs! A delivery driver asked if our company makes chairs, so far that’s about right! 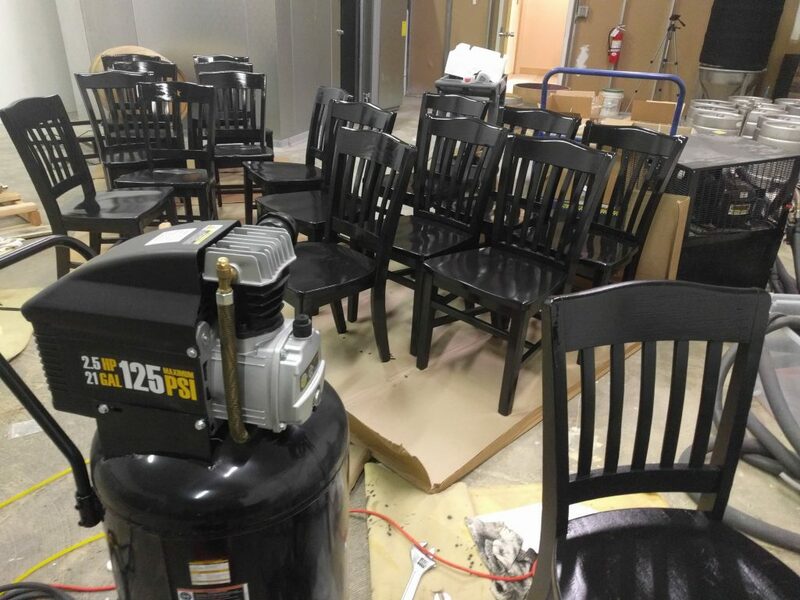 Here is the mess of painting and fixing chairs we purchased at a restaurant auction. 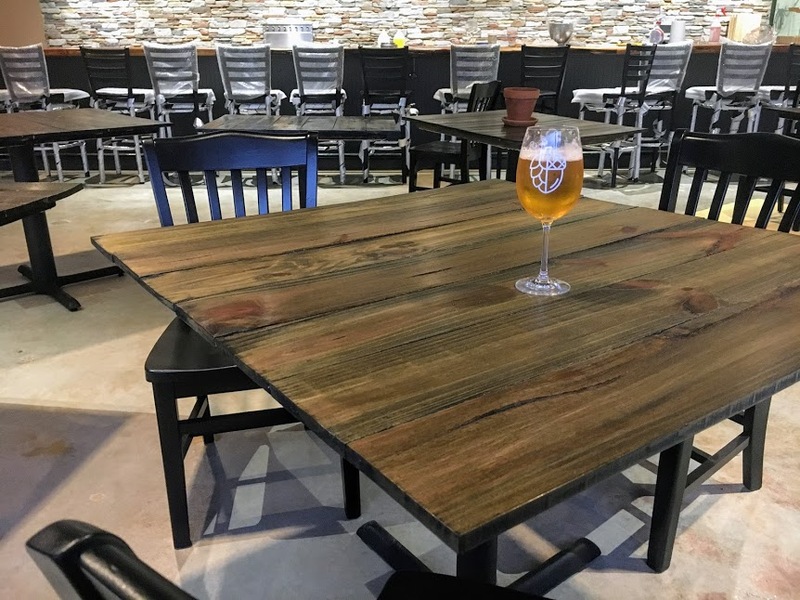 The tasting room is coming together now that we have tables, chairs and bar stools! Each of us took a trip in May for inspiration, under the assumption vacations won’t be an option for a while once the brewery is open. Mike took his first trip to Belgium to drink lambic at the cafes and breweries around Brussels. It was fantastic to see the dedication and specialization of Cantillon and 3 Fonteinen, although both are increasingly branching out into new variations on their sour beers. Scott hopped around northern Europe (Denmark, Norway, and Iceland). He sampled beers and met with some of the most influential brewers from around the world at the Mikkeller Beer Celebration in Copenhagen. Back in America, we had the inspection from the comptroller’s office for our state brewery (and self-distribution) licensing. All we need to finalize that is the occupancy permit, which is just waiting on a reinspection after fixing the last couple issues with emergency exit hardware. Our county liquor license is progressing as well, we’re waiting for a hearing date. June will be spent organizing the installation of our brewhouse, which will require coordination among plumbers, electricians, and an HVAC company for our glycol unit. Stay tuned for updates on our upcoming web store!